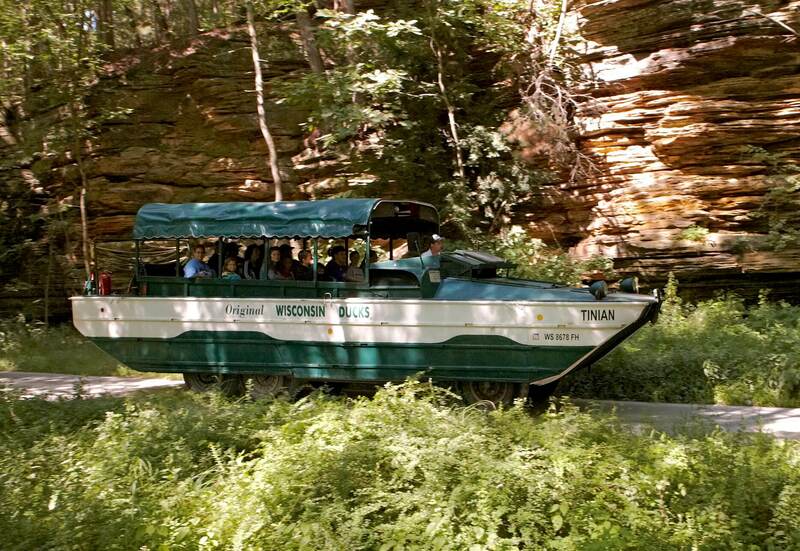 Original Wisconsin Ducks® is the ONLY duck tour in the world in continuous operation since 1946. Follow this historic timeline to see how it all began, how our operation has grown and evolved, and how we’ll continue to deliver our promise of Fun! Adventure! 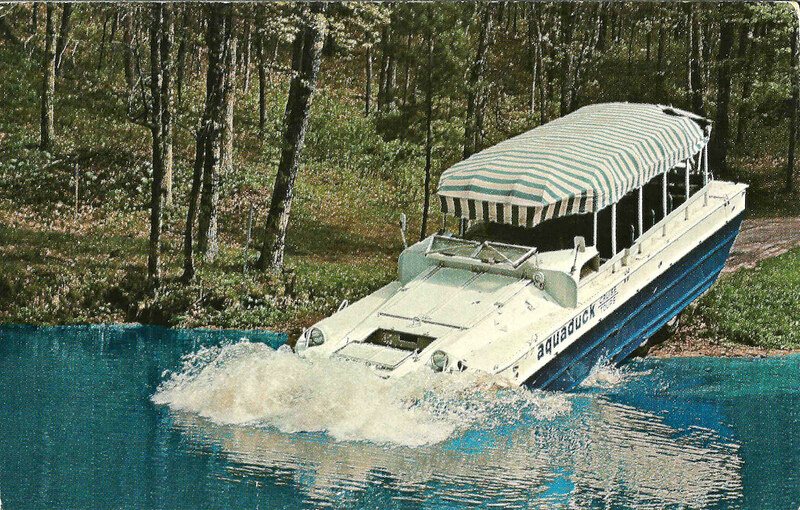 On Land and Water!® for decades to come. 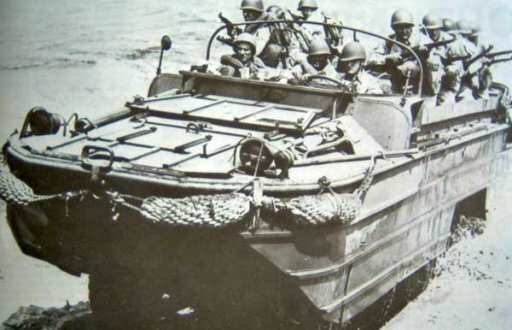 With the advent of World War II and the near-constant bombardment of port cities, the Allied Forces realize that an amphibious craft is needed to ferry troops and supplies directly from ship to shore. 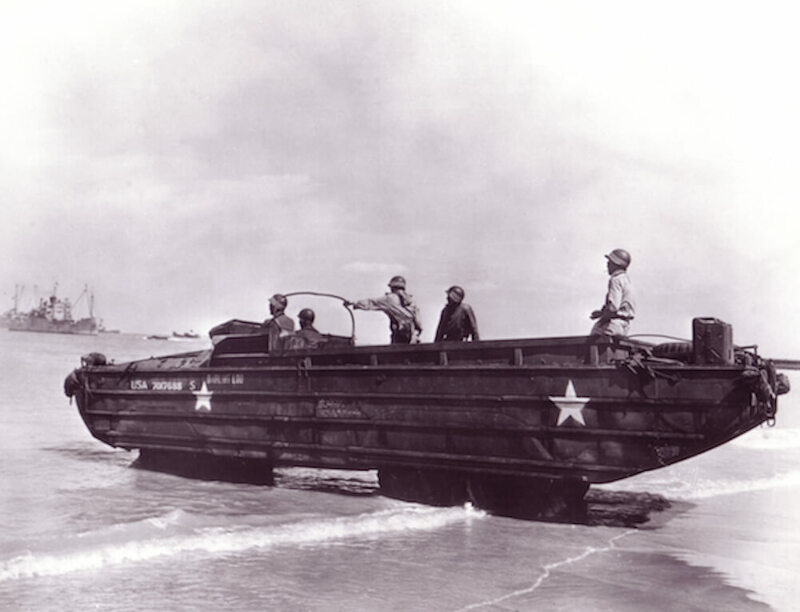 The answer comes on June 3, 1942 when a pilot version of a 6-wheeled, 2.5-ton amphibious truck is readied for testing. The vehicle proves reliable and versatile, and an initial order of 600 is placed with a delivery date of December 31, 1942. SO WHY IS IT CALLED A "DUCK?" 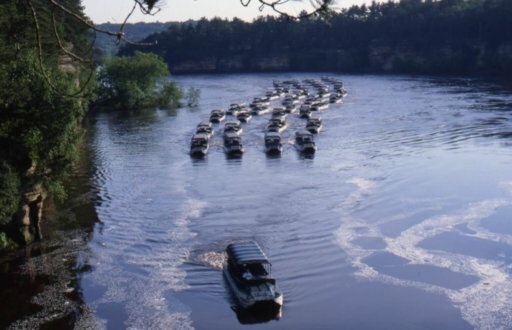 As a United States military vehicle, this new amphibious truck is assigned a code: DUKW. "D" represents 1942, the year of its design. "U" indicates a utility vehicle. "K" means all-wheel drive capability. And "W" signifies duel rear-driving axels. 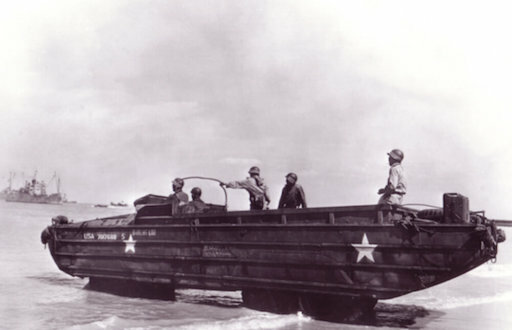 But it isn't long before American soldiers look at the code and the vehicle's land and water capabilities, and in typical GI fashion simplify it to the nickname "Duck." 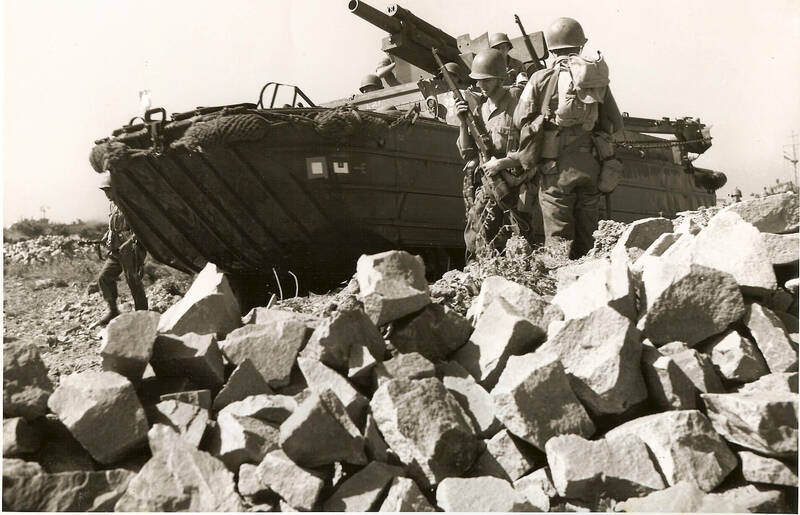 Ducks first see action as part of General Patton's invasion force at Sicily. Despite poor weather conditions, the vehicles perform admirably and are soon slated for duty on D-Day, throughout the European theatre, and the island-hopping campaign in the Pacific. The Ducks prove indispensable. 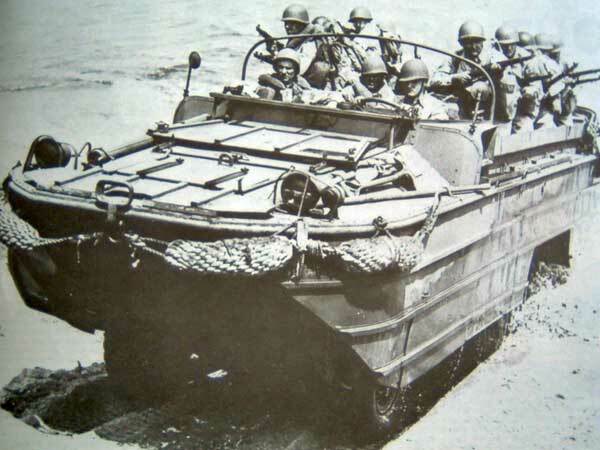 By the end of their production in 1945, a total of 21,147 DUKWs are produced. 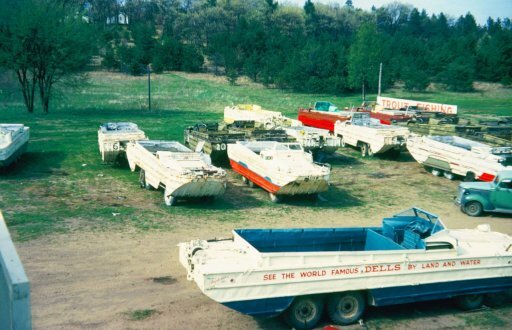 While the military continue to use some DUKWs in limited roles (mostly notably, the Korean War), the majority of vehicles stationed stateside are decommissioned and offered to the general public via army surplus. Soon Ducks are being used by communities for everything from fire-fighting to water rescue. But a man named Bob Unger had another idea. 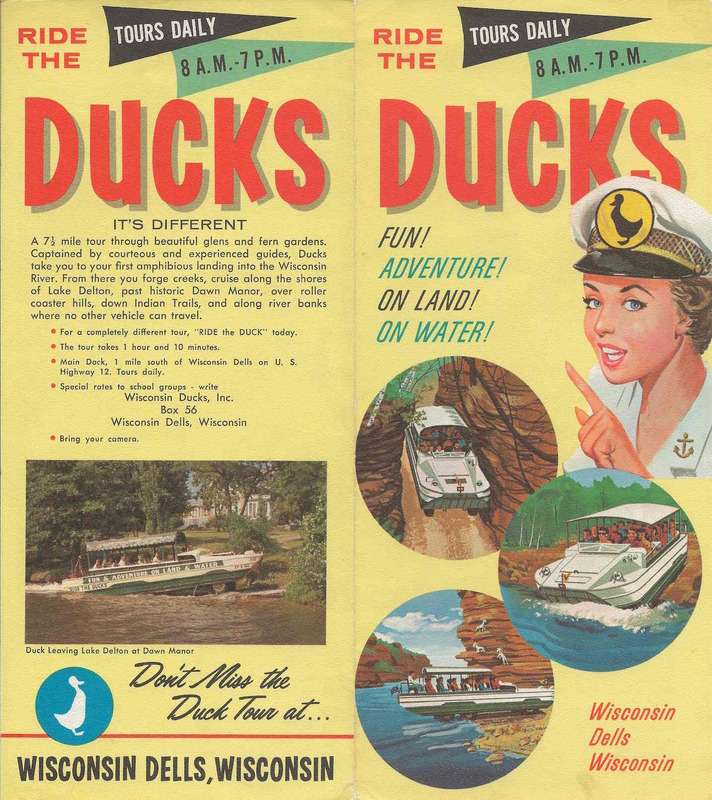 The tour that would become Original Wisconsin Ducks® is launched in the summer of 1946. Bob Unger owned an army surplus Duck. 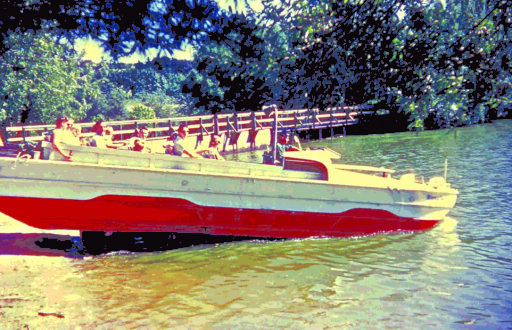 Mel Flath had the idea for a ride, and Helen Raab leased them land she owned between Lake Delton and the Wisconsin River for the tour. The first tour is pictured at left, with Raab and her friends in the back, and Unger behind the wheel. In 1947, Helen Raab and Dr. Reinhold Ebert form the Dells Corporation, which represents the land holdings and trails used on the tour. 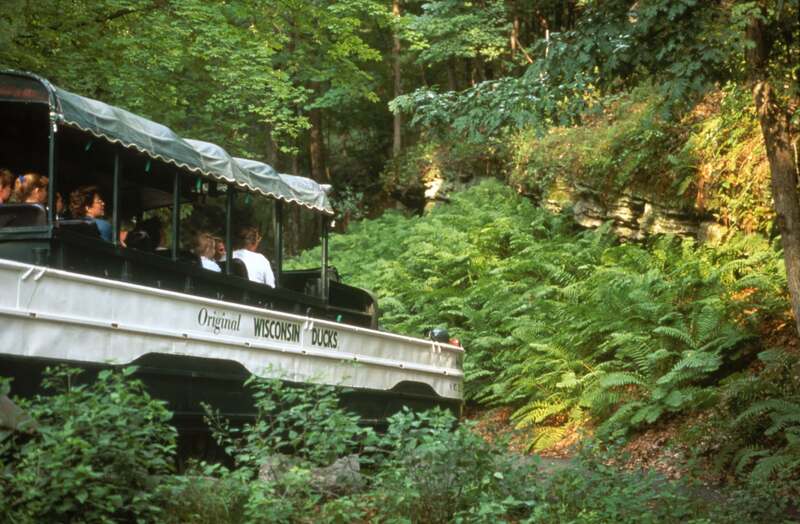 This area, filled with fern dells, rocky gorges, and beautiful wilderness, is known as the Lower Dells Scenic Park. Herman Breitenbach manages the holdings and Raab and Ebert begin purchasing more Ducks for the future. 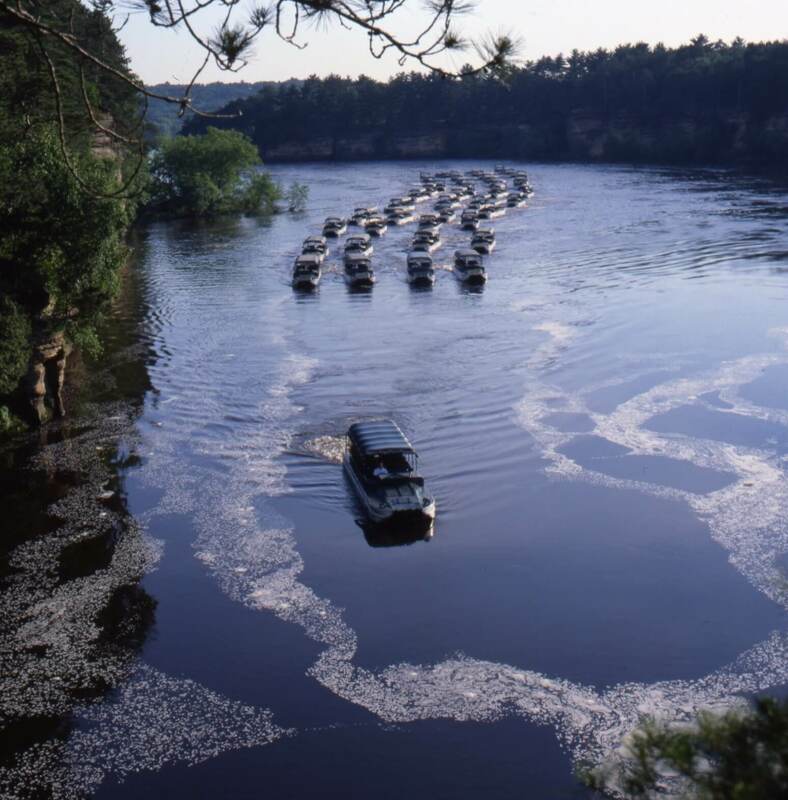 Dr. Ebert buys out Mel Flath to become sole owner of the business, named Wisconsin Dells Amphibian Lines, while retaining a 50% share of the Dells Corporation. 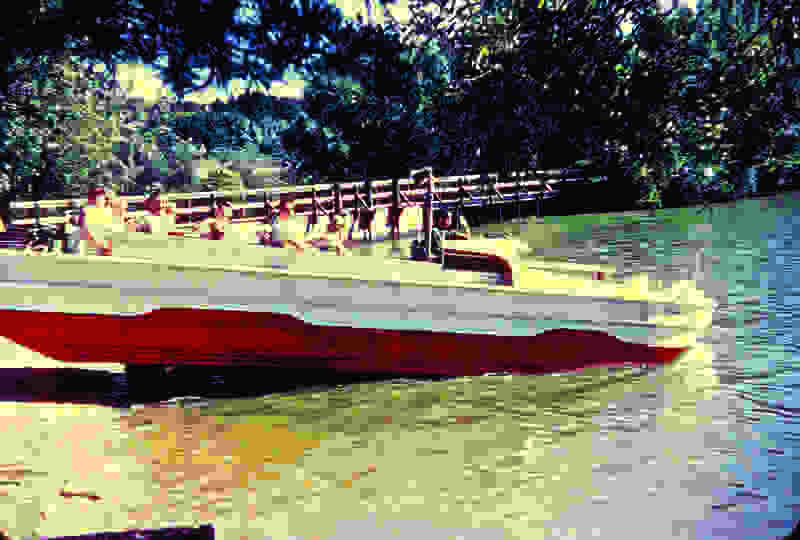 He names the Ducks after Native Americans, adds canopies, paints the vehicles in many vibrant colors, and builds a new Duck Dock at our current location, 1890 Wisconsin Dells Parkway. 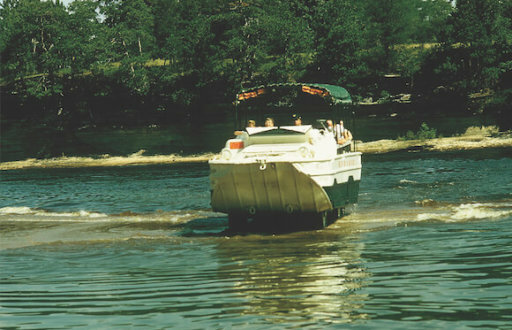 In May 1956, Dr. Ebert and Helen Raab transfer their interests in Wisconsin Dells Amphibious Lines and the Dells Corporation to an ownership group compromised of four Wisconsin Dells boat companies. The new company is named Wisconsin Ducks, Inc. with Ben Olson becoming the first General Manager. 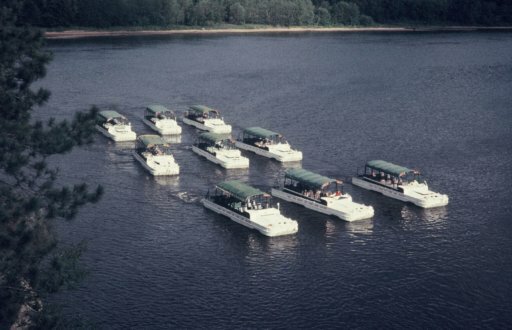 In 1959, new General Manager Walt Stanton standardizes the Ducks with their classic green and white colors, changes the majority of Duck names to places the vehicles served in World War II, and introduces the iconic slogan "Fun! Adventure! On Land and Water!" Positive, impactful contributions that leave a lasting and visible legacy for decades to come. 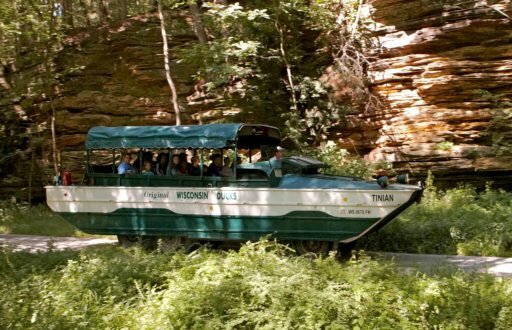 Original Wisconsin Ducks® exclusive wilderness trails are famous for giving passengers an up-close view of wildlife, from whitetail deer and turkey to fox and beaver. 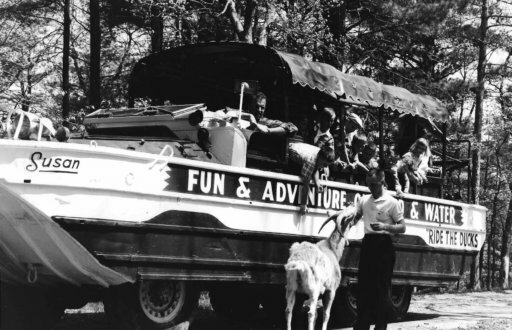 But during the mid-century, tour-goers also enjoyed frequent sightings of goats! 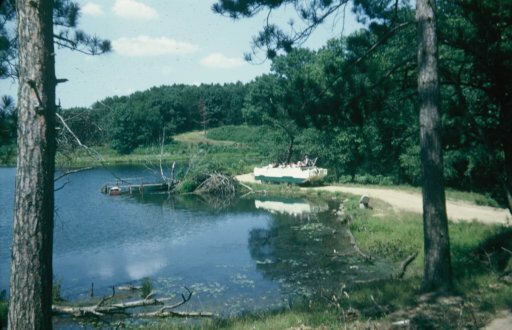 Helen Raab introduced a small herd in the 1950s, and it continued to thrive in the area near Hawk's Bill thru the late 1960s. The goats would often approach the Ducks, looking for sugar cubes. 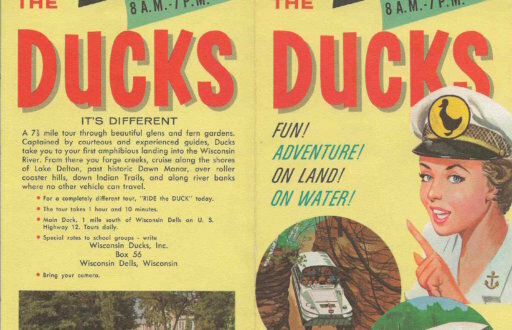 From the days of Helen Raab and Herman Breitenbach, promoting the Original Wisconsin Ducks® takes many fun and ingenious forms, from advertising and press coverage to driving Ducks through downtown Milwaukee and Chicago! The brochure at left (used in the late 1950s and early 1960s) is proof that the Fun and Adventure of the tour was often reflected in the ads. 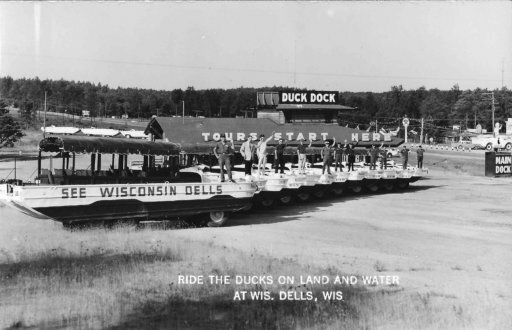 Wisconsin Dells continues to grow as a vacation destination and Wisconsin Ducks continues to grow in popularity. New challenges come with new growth, but the consistent leadership of men, like Jack Anchor, John Dixon, and Matt Bubon help the attraction continue to grow and thrive, under its new official name of ORIGINAL WISCONSIN DUCKS®. 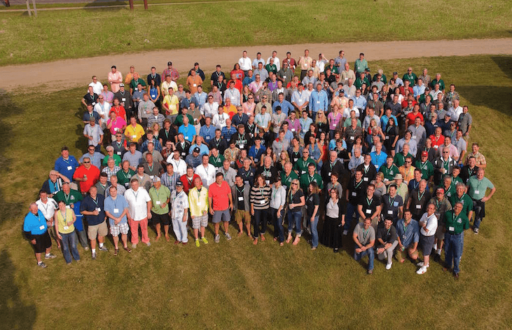 The decade sees Original Wisconsin Ducks® launching new initiatives to meet growing customer demands and keep up with the changing social landscape. A new Duck Dock is built in 1975, the first female Duck driver is hired in 1977, and Aquaduck Cruise Tours (pictured at left) is purchased (also in 1977). 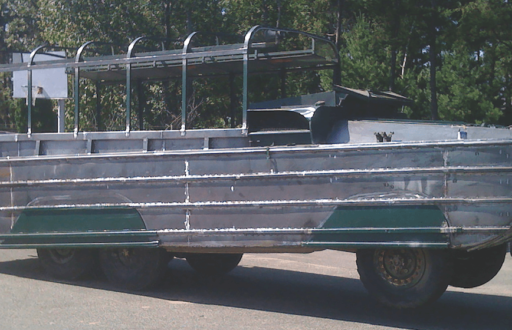 This added 16 more Ducks to our rapidly expanding fleet. 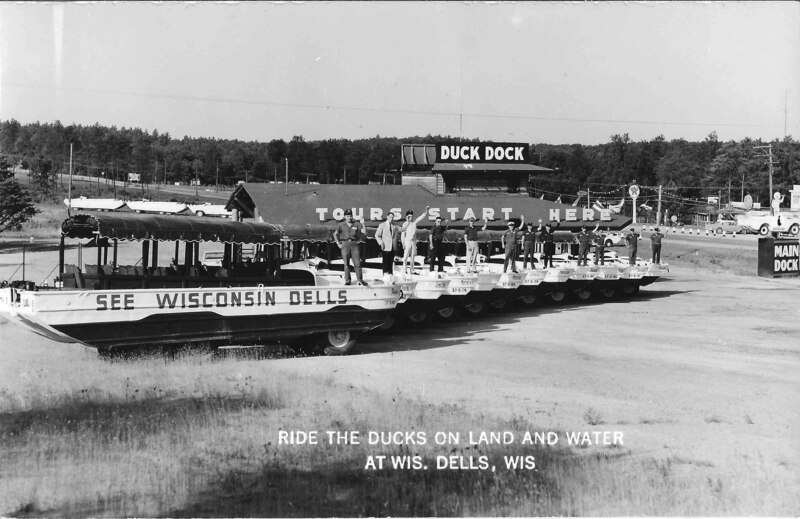 Since 1946, Original Wisconsin Ducks® has been constantly striving to maintain a high quality tour. One key to this goal is enhancing vehicle performance without sacrificing its historic integrity. In the late 1980s, TINIAN (pictured at right) becomes the first Duck converted to diesel power for improved fuel efficiency, performance and reliability. 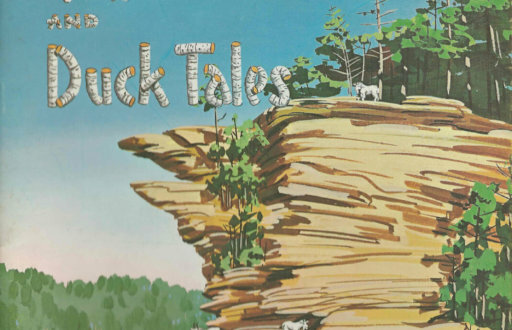 From the beginning, Original Wisconsin Ducks® has operated on exclusive trails thru the Lower Dells Scenic Park. As development along the Park's outer borders increases, a decision is made to enhance the tour by modifying the route and re-opening old trails in the heart of the forest. 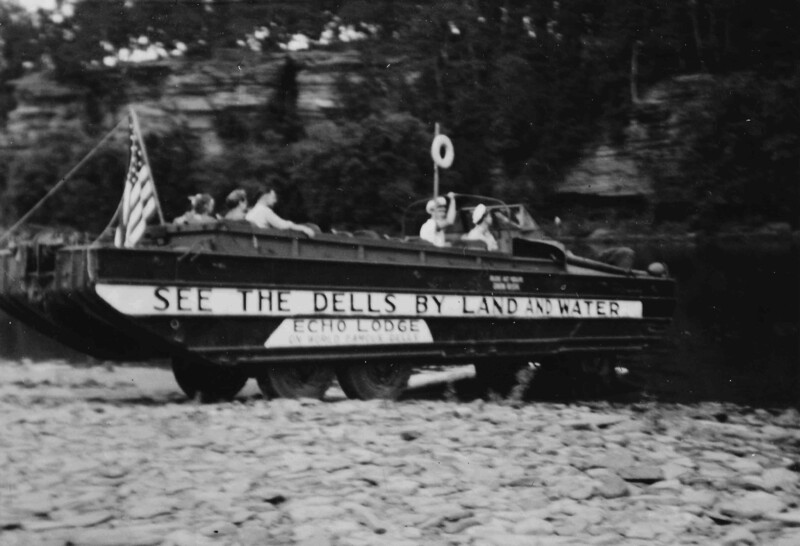 Passengers now get a first-hand look at sights (like Black Hawk Gorge, at left) not seen in 1950. 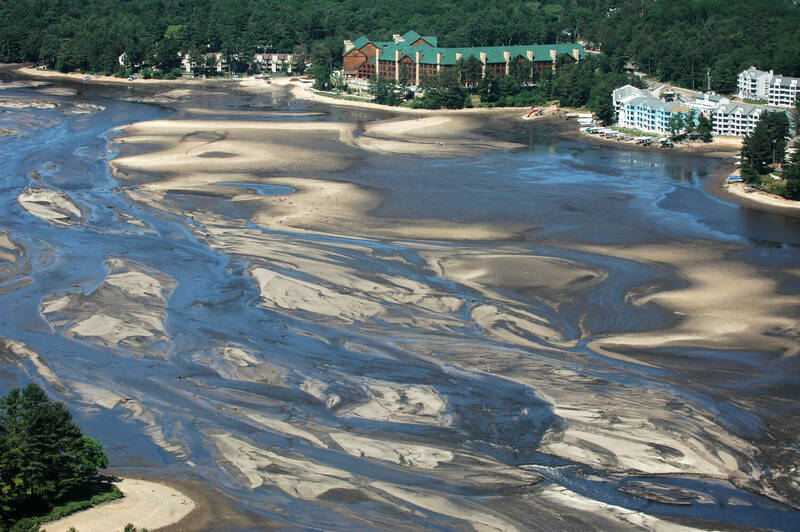 In the Spring of 2008, heavy rain causes Lake Delton to rise 51.5" over flood stage. 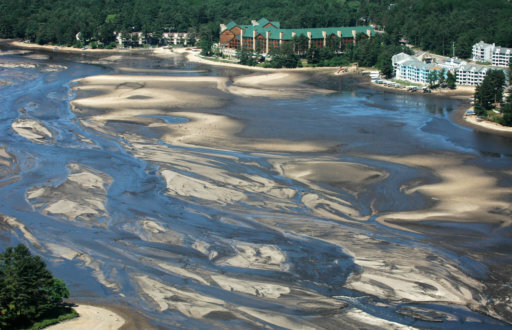 A breach occurs in the strip of land between the Lake and the Wisconsin River, draining the Lake in two hours. 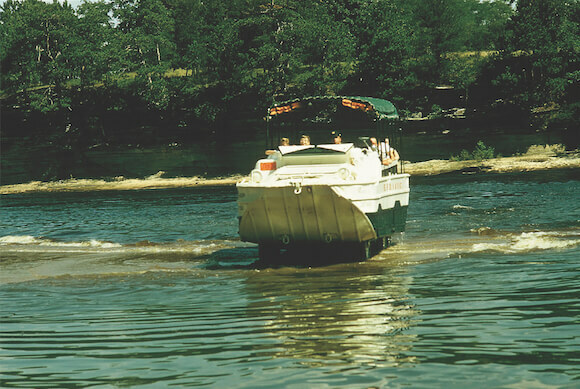 The challenging summer season sees Original Wisconsin Ducks® operating river-only tours. 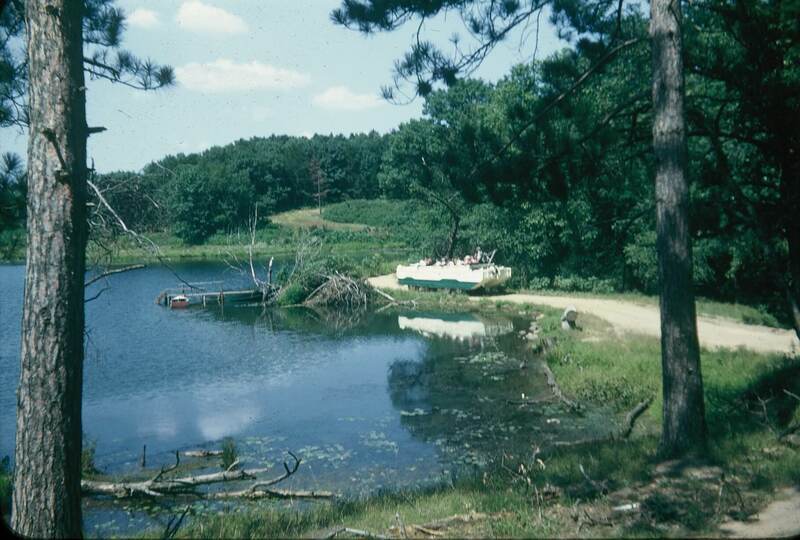 Thanks to the efforts of State and Local officials, the breach is repaired and Lake Delton is restored by summer of 2009. 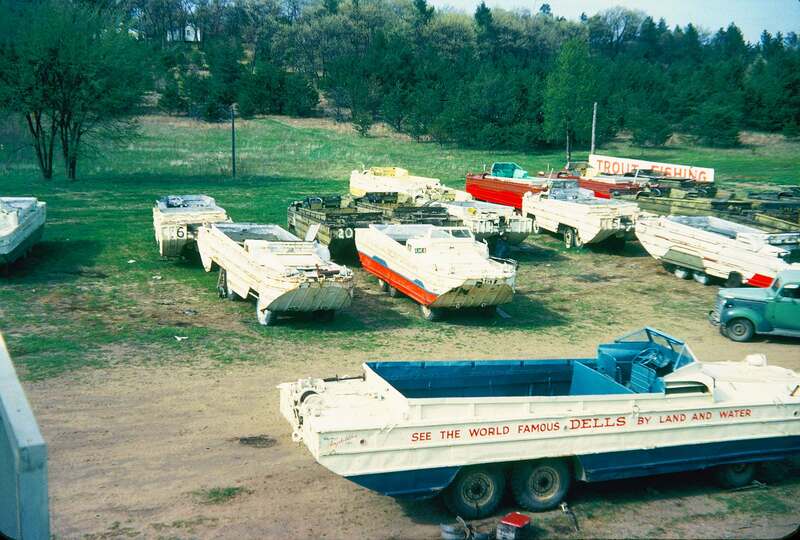 For 60 years, Original Wisconsin Ducks® continues its operation by searching out and acquiring more Ducks to replace retiring vehicles. In the new century, a combination of technological advances and the creativity and expertise of our mechanics allow for a new approach. Enhancing (and even rebuilding) existing Ducks to be better than new! 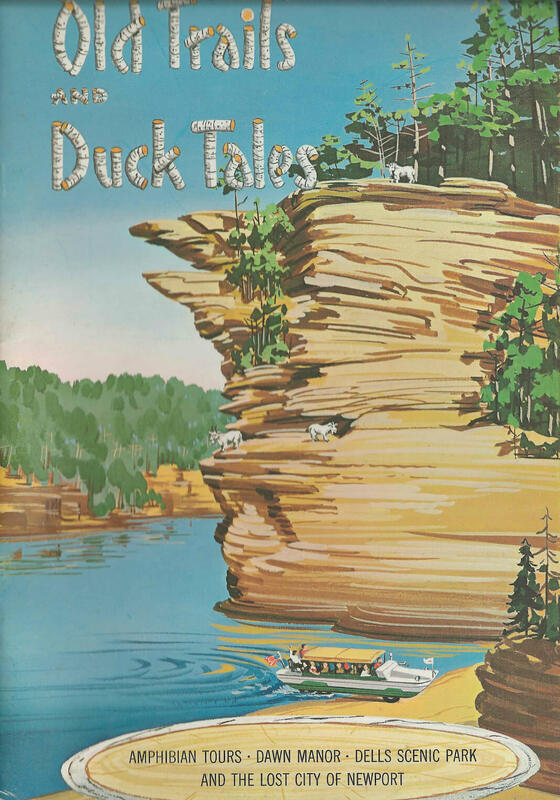 Since 1947, a staple of Original Wisconsin Ducks® has been the guidebook of the tour, the first being penned by Helen Raab herself. Throughout the years, the guidebook has been revised, updated and redesigned, always with an eye to offering passengers a more complete understanding of the Duck tour and an appreciation of the Dells' rich history and natural beauty. The guidebook at right was offered in the 1950s and 1960s. 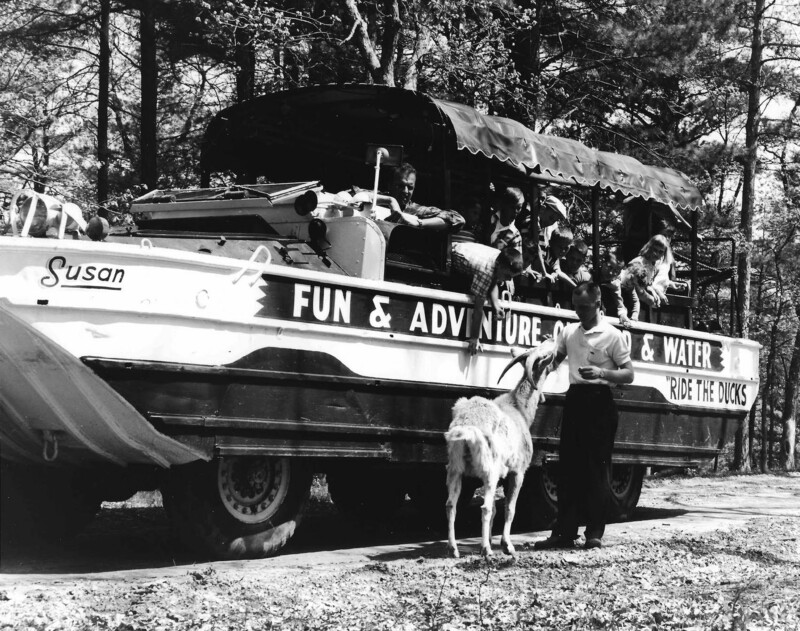 The summer of 2015 marked the 70th year of operation for Original Wisconsin Ducks®, the only Duck tour in the world to operate non-stop over such a time span. 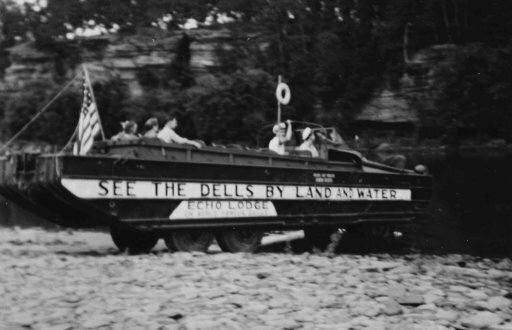 The event is commemorated with special promotions, "Heritage Ducks" decorated in mid-century colors and slogans, and the first ever Duck driver reunion. 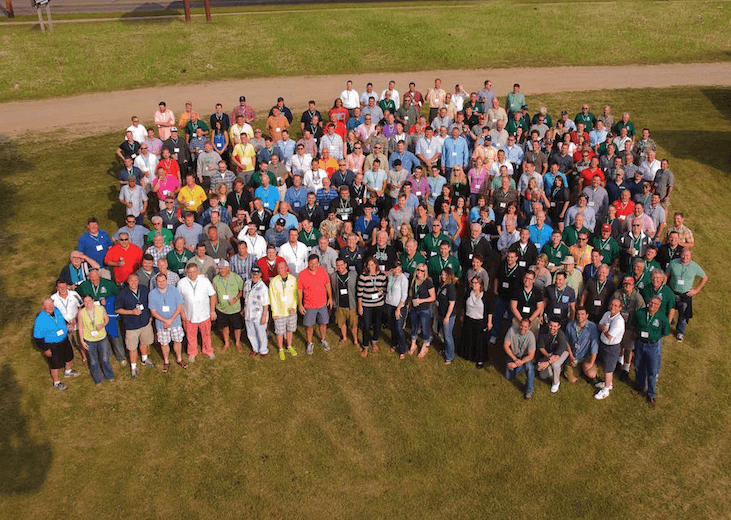 One weekend in June, over 400 drivers from all eras converged in Wisconsin Dells to take part in a grand celebration. 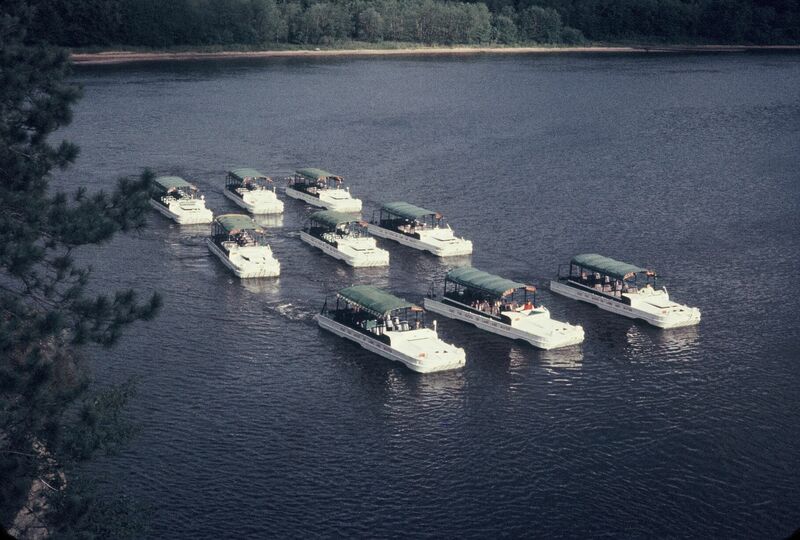 Today, Original Wisconsin Ducks® continues to look forward, focused on providing a tour that delivers quality, safety and the ultimate in Fun! Adventure! On Land and Water! Boasting the world's largest fleet of Ducks (90 vehicles) and the passion and commitment of our drivers, mechanics and managers, we're ready and able to welcome you aboard, now and for decades to come.